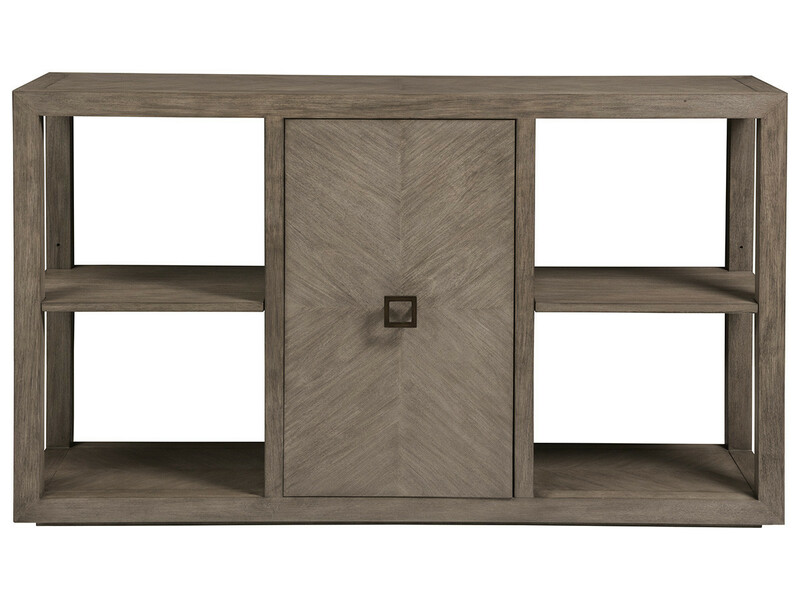 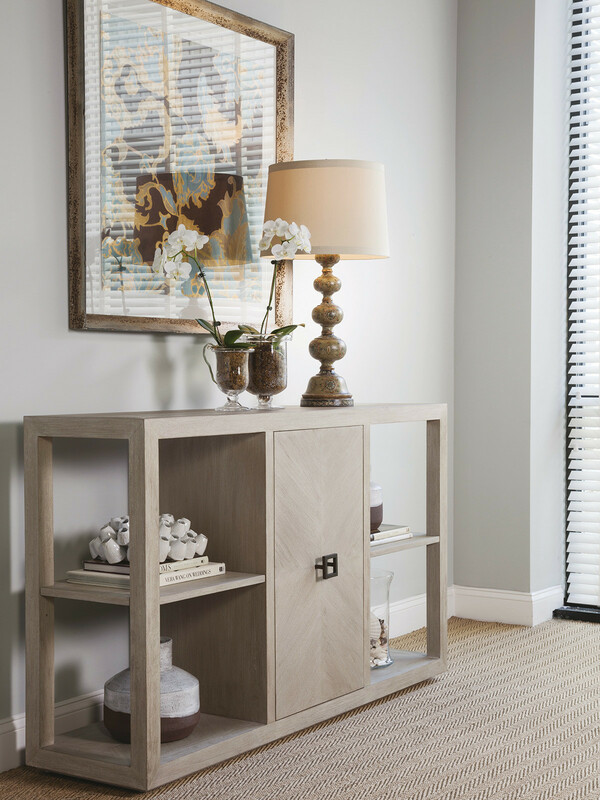 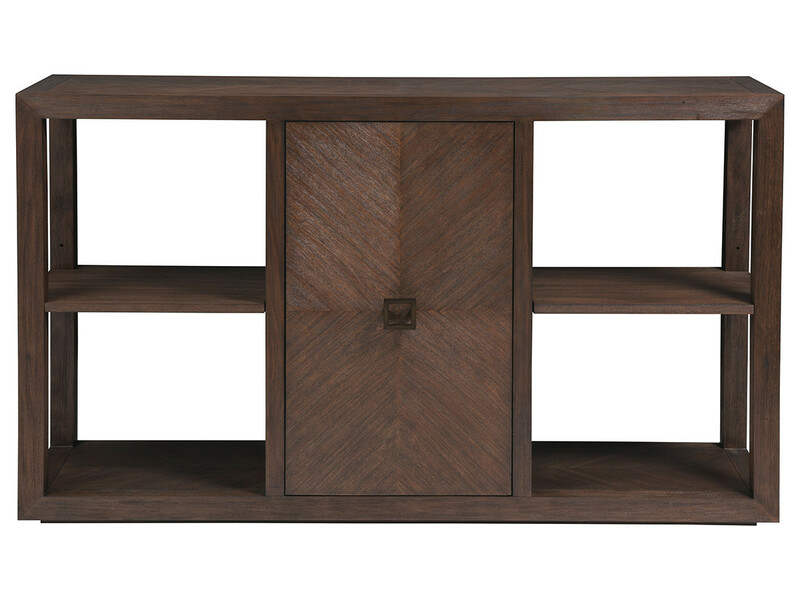 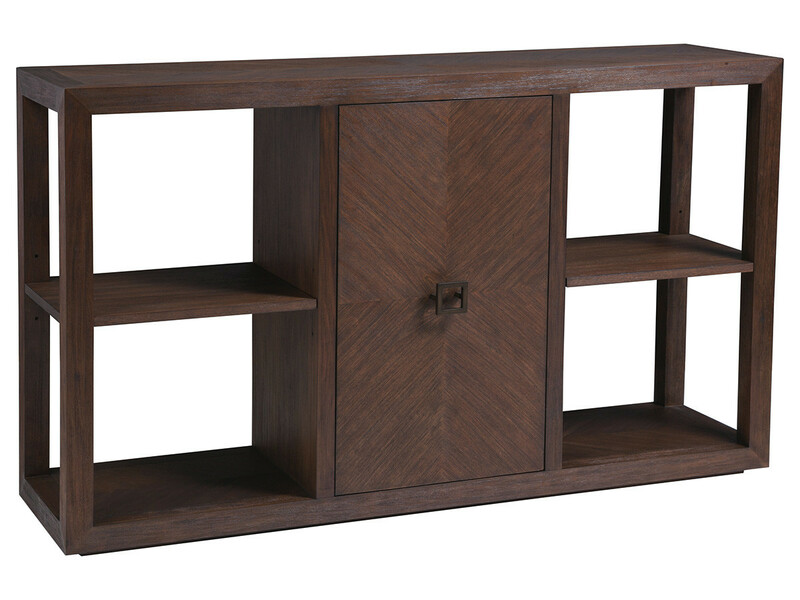 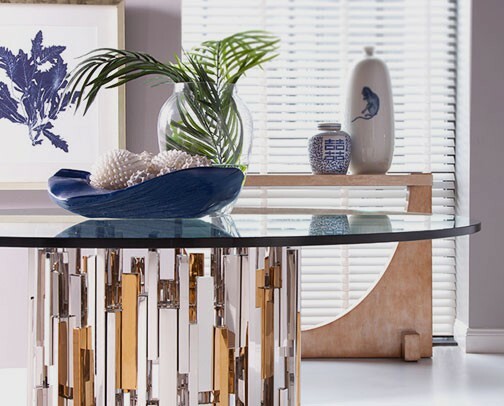 Contemporary designs crafted from Mahogany with wire brushed solids and veneers to create a four-way match pattern on the top, door front, and shelves. 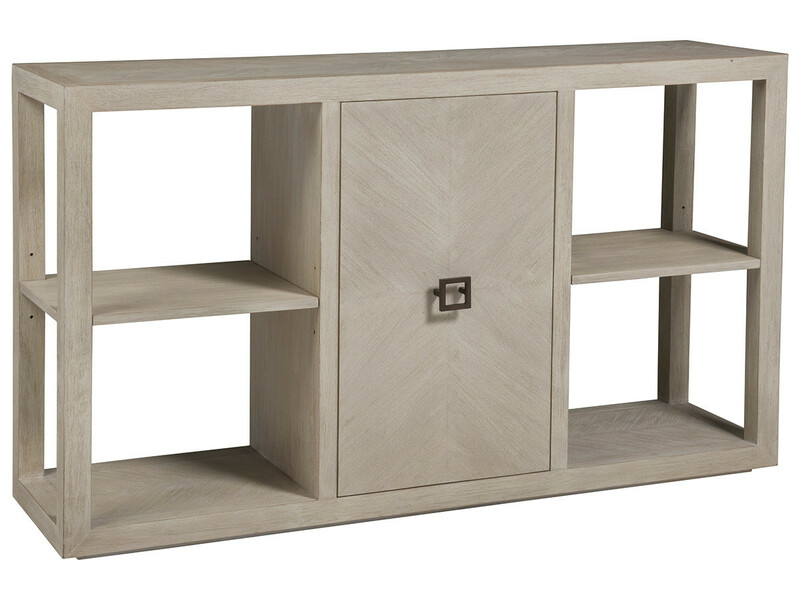 Features include one adjustable shelf behind the door and two open shelves. 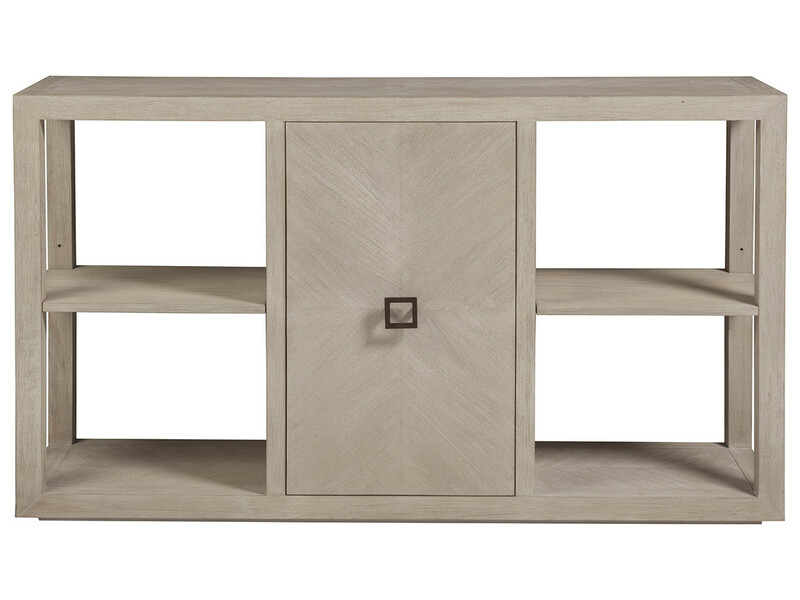 The Bianco finish is a white wash tone, but this is also available in all the Cohesion finishes. 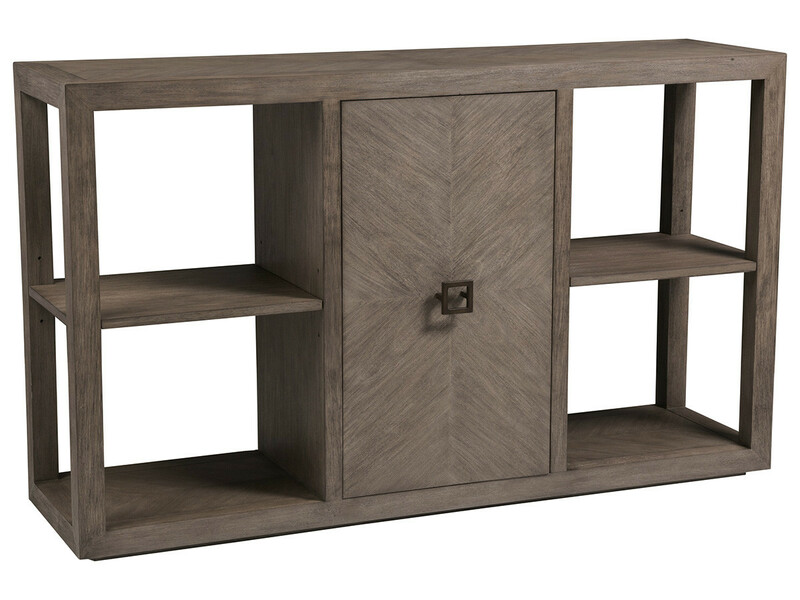 Dimensions: 60W x 16D x 36H in.